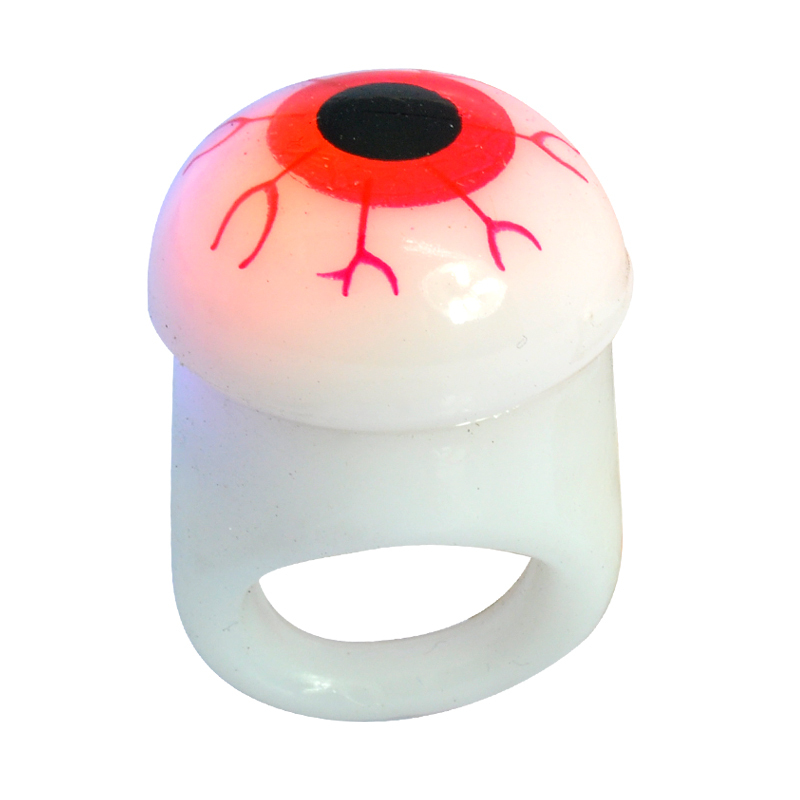 Successfully Added LED Eyeball Party Ring for (Red) to your Shopping Cart. Halloween LED Eyeball Ring with flashing Blue and Orange LEDs..
As a perfect accessory for Halloween, this LED eyeball ring features flashing Blue and Orange LEDs. Made out of the flexible silicone, the ring will perfectly fit around any finger and flash bright for up to 8 hours. Turn the LEDs on and off by simply pressing on the ring and get that party started! Since this LED ring is a Halloween special, there is a limited stock quantity. So be quick to order this item! In stock now, this LED ring can be shipped out to you within one working day and is offered at an all-time low wholesale price. Brought to you by the leader in wholesale cool gadgets, Chinavasion.